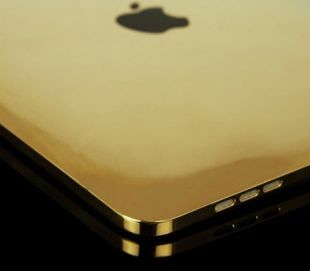 This special edition of Apple’s tablet is plated in 24-carat gold and available in strictly limited edition of 7 pieces. The price you ask? 'Unlocked Brand New 24 ct Gold iPad 64 GB - Wifi & 3G Model' is Only Less than $2k. Obviously this isn’t a tablet Average Joe or Jack will want to buy. Rather it’s made for the select few, rich enough to spend that much to differentiate themselves wherever they are. If you’re in that group, please Contact us. 2.2 #1. Apple iPad 2 WIFI & 3G Model Product - *HOT SALE* ONLY 7 LEFT! #1. Apple iPad 2 WIFI & 3G Model Product - *HOT SALE* ONLY 7 LEFT! The back and sides of your iPad 2 will be plated in luxurious 24ct. gold, rose gold or platinum. You can choose to have your home button crystallised (extra charges apply). Your iPad will not be opened to be plated and maintains its original 12 month warranty. This service comes with a Full 12 months guarantee on the plating and any crystallisation service. All iPad plating services come with a certificate of authenticity. Your item will be returned within 2 to 8 business days depending on the service required. Payment : Cash, Bank Transfer Or All Major Credit Cards. Overseas buyers! Please contact one of our sydney stores. Purchase a brand new (unlocked) iPad 2 customised in 24ct. gold, 24ct. rose gold, platinum plating and genuine Swarovski crystals. All products come complete with all their original accessories.